A native of Korea, YooJin has been performing with top Korean orchestras since the age of nine, including the KBS Symphony Orchestra and the Seoul Philharmonic Orchestra. Additionally, she has appeared with the Budapest Festival Orchestra led by Ivan Fischer, Bulgaria National Radio Symphony Orchestra under Emil Tabakov, Sofia Philharmonia Orchestra with Ljubka Biagioni, the Erato Ensemble led by Sholomo Mintz, Tokyo Symphony Orchestra, Spain’s Extremadura Orchestra conducted by Jesus Amigo, and the NEC Philharmonia led by Josh Weilerstein. Yoojin’s 2018-2019 season begins with a solo appearance with the Chautauqua Symphony Orchestra playing Beethoven Violin Concerto. Additional highlights of the season include performances with the Osaka Symphony Orchestra, Dubuque Symphony and DuPage Symphony, as well as recitals at the Nantucket Musical Arts Society, Patrons for Young Artists, Macon Concert Association, Dame Myra Hess Series, Rockefeller University, Pepperdine University and Port Washington Library. In the spring of 2019, Yoojin will give her Carnegie Hall debut in Weill Recital Hall. 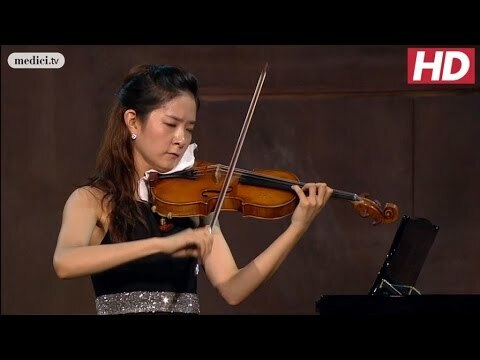 Other career highlights for YooJin include recitals in Boston at Jordan Hall and the Isabella Stewart Gardner Museum; in Chicago for the Dame Myra Hess Memorial Concert series; in Japan for the Sendai Competition Winner’s series in Sendai, Nagoya and at Hamarikyu Asahi Hall in Tokyo; and chamber music performances with Caramoor’s Rising Stars, Ravinia’s Steans Institute on Tour and Music From Marlboro. YooJin’s latest victories at CAG and Sendai follow a long line of international competition success. In 2013, she won Japan’s 4th International Munetsugu Violin Competition, which included the loan of the 1697 ‘Rainville’ Stradivari violin. 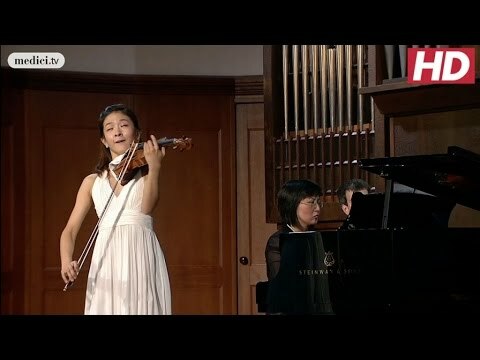 She was also a top prize winner at the prestigious International Violin Competition of Indianapolis, the Michael Hill International Violin Competition (including the Audience Prize and Best Performance of the New Zealand Commission Work), and the Yehudi Menuhin Competition.